Thank you for purchasing a Hallet, Davis & Company piano. 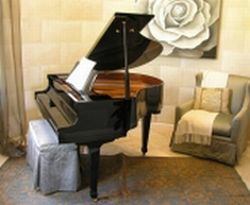 We are sure that you will be rewarded with years of musical pleasure – starting with your new piano. Please register your new Hallet Davis piano so that we will know that you are the rightful owner – in case you ever require warranty service. Thank you for registering your ownership of your new Hallet Davis piano!